252. Fontaine des Mers | LEFTBANKED. Paris has been everything I expected and more. I'll definitely miss it until I'm back again. Paris has been more fun than all the other cities I've visited combined. & of course, Prague was my 2nd favourite heheh..both these cities are really "magical" & I think I will try to return again sometime this Fall. Good to hear that you had a great time and only good things happened to you! I can't wait to visit Paris again!!! It's so lovely! Glad you had a nice trip! Awweh Paris is so beautiful. Btw thanks for your comment on my blog. I following you via gfc, Twitter, bloglovin'and subscribe to your FB. 1 thing I want to tell you that, your Twitter link on the top of your blog doesn't work. I think you put wrong address in there. Talk to you soon , keep in touch. What fabulous photos, looks like you had a great time. Thanks for stopping my blog, yes it would be lovely to follow each other. I'm following you now. 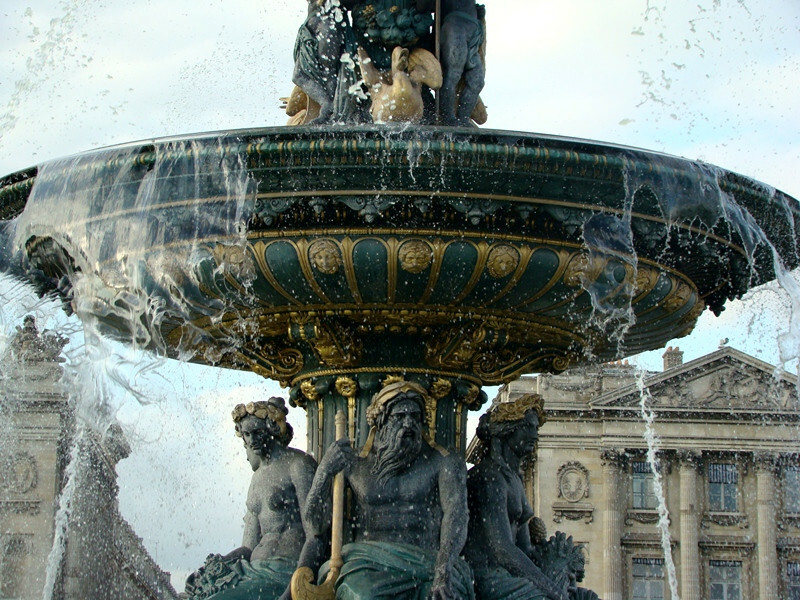 Amazing fontain.=) I need to visit Paris some day. I've been to Paris countless times and still have not even come close to seeing everything either - it's incredible. I've always believed we each have a city that speaks most to us. Mine is Sevilla in Spain. The most magical place and I couldn't even fully tell you why. Something about the sun, the air, the birds and the bells. Thenk you for your comment on my blog! Verry nice pictures!I love Paris! love love love the photography! so beautiful! Thank you for your comment girl, Your pictures are very nice too. I know what you mean about post vacation blues! Ironically I didn't get them *yet* after my trip from Paris but it might come later on. I thoroughly enjoyed Paris and would love to come back to see many of the things that I didn't get to this time. I was in Paris from May 28 - June 5! We were there at the same time!!! !